Cook linguini according to the package instructions. Next pour about 3 tablespoons of olive oil into a large cooking pan and once heated sauté onion and garlic. Next place cut up chicken breasts into the pan with a little olive oil; brown on both sides. Add chicken broth. Add the diced sun-dried tomatoes, rosemary and some salt and pepper to taste. Place a lid over the pan and let simmer for about 20 minutes or until the meat reaches 165 degrees. 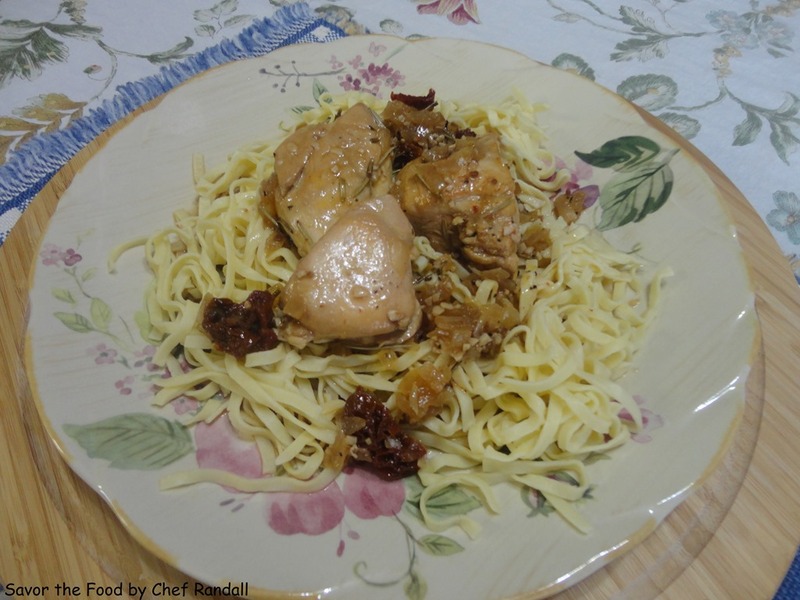 This entry was posted in Main Dish and tagged Broth, Chicken, Cook, Cookware and bakeware, Food, Garlic, Olive oil, Sun-dried tomato. Bookmark the permalink.